Saturday, February 9, was a long day for over 130 Wharton underclassmen. From 8:30 a.m. to 6:00 p.m., teams of four to five students competed in three rounds, answering simulated challenge questions proposed by the 2019 HuntsmanHacks partner company, Vox Media. 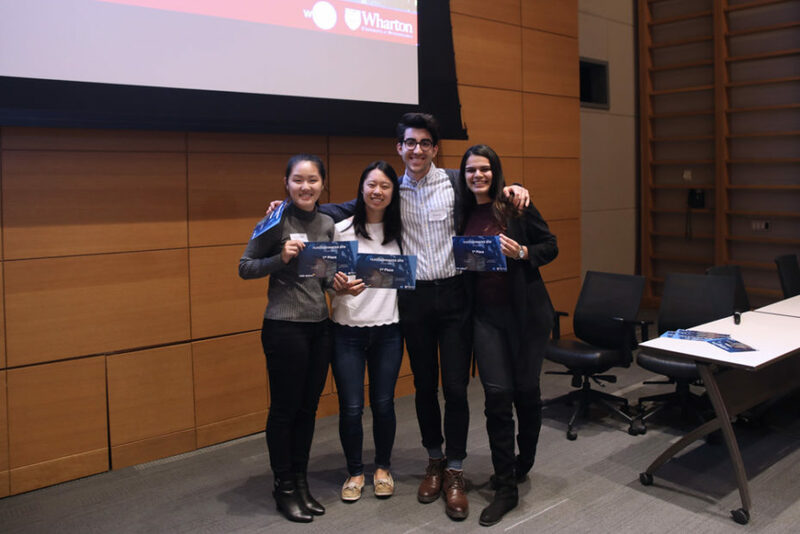 HuntsmanHacks, organized by the Wharton Dean’s Undergraduate Advisory Board (WAB) with support and funding from the Wharton School’s Undergraduate Division, is a “business hackathon” — a collaborative competition to solve challenges using business knowledge. The event began with opening remarks, followed by a keynote from the CEO of Vox Media, Jim Bankoff, WG’96. He kicked off the event with a detailed background on the modern media company. Teams then broke off to their respective rooms and got to work. Similar to a case competition, students were given questions pertaining to Vox in three separate rounds, with a time constraint of about an hour per question. The questions centered around current threats to the digital media industry, and drew on material that students had learned through core business fundamental courses like marketing, statistics, accounting, and finance. Keeping the company’s assets and core values in mind, the students had to successfully implement either a business-to-business or business-to-consumer strategy that would produce a valuable revenue stream. The teams didn’t have to rely solely on classroom knowledge. HuntsmanHacks was unique from other case competitions in that multiple representatives from Vox, including Bankoff, visited each group to offer feedback and answer questions. Communicating directly with industry professionals not only helped students during the competition, but also provided insight into the media field and Vox in particular. Three rounds of questions, followed by mini-presentations, made for an equally exciting and stressful day. The competition tried students’ abilities to manage group dynamics as they collaborated to submit both the required slides and the executive summaries before the deadline for each round. The most productive teams were the ones that worked in sync to propose solutions efficiently as a group. The first place team (left to right) Jennifer Zhang, W’21, Chloe Niu, W’21, Alexandru Zanca, W’21, and Aashna Jain, W’21, pose with their awards. The competition concluded with presentations from the top five teams, who all proposed unique and realistic strategies with potential value for both Vox and its consumers. Awards were presented for the top three presentations, and three more teams were recognized for excelling in either innovation, feasibility, or alignment. All in all, the immersive day-long competition was mutually beneficial: students gained invaluable experience working with real company challenges, and Vox Media representatives received an array of potential revenue stream strategies for their company. Watch a recap of the inaugural HuntsmanHacks in partnership with Alibaba Group.